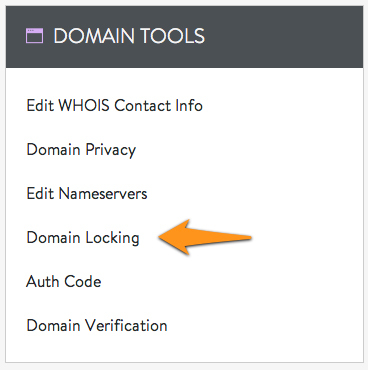 Domain locking is a free security enhancement offered by (mt) Media Temple to prevent unauthorized transfers of your domain to another registrar or web host by "locking" your domain nameservers. When your domain is locked, you'll be substantially protected from unauthorized third-parties who might try to misdirect your nameservers or transfer your domain without your permission. You will also be unable to inadvertently make changes to your nameservers that could prevent (mt) from hosting your domain services properly. Learn more about changing nameservers. 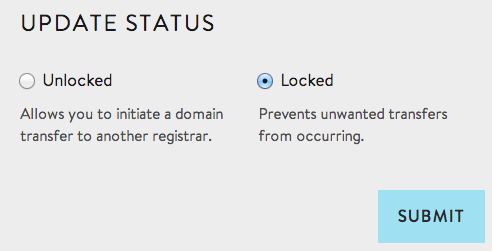 Click on the icon Domain Locking. Click on Unlocked or Locked and click save changes.